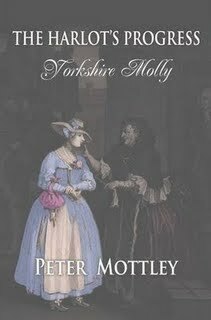 You've won a copy of Peter Mottley's The Harlot's Progress plus a Special Gift!! Okay ladies, zap over your addresses to me! Thanks to all who entered and to Gaby at Carnevale Films for making this giveaway possible! Congrats - I can't wait to sink my teeth into this book - it sounds so good.